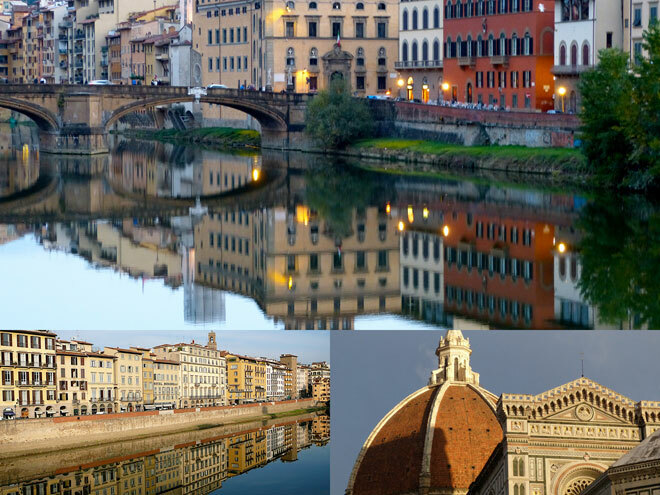 Rent an apartment in Florence… stay a few days, stay a week, a year…. Art…. where can you start? The whole city is a work of art, the birthplace of the Renaissance. Botticelli's "Birth of Venus" and Michelangelo's "David" are just two of the most well-known of the thousands of stunning works that can be found in the Uffizzi, the Galleria dell’Accademia, and simply wandering around the streets. Many people stay in Florence only a night or two – on their tour through Italy, – if that is all the time you have, then choose an apartment in the centre or a charming hotel, if you have longer many people choose a property in the countryside – generally it is no more than a 30 – 45 minute drive into Florence. Browse through our selection - then email or phone us at 1 888 830 9650. We are always adding new properties – there may be others that you do not see here. Talk to one of our specialists to find the vacation rental just right for you.